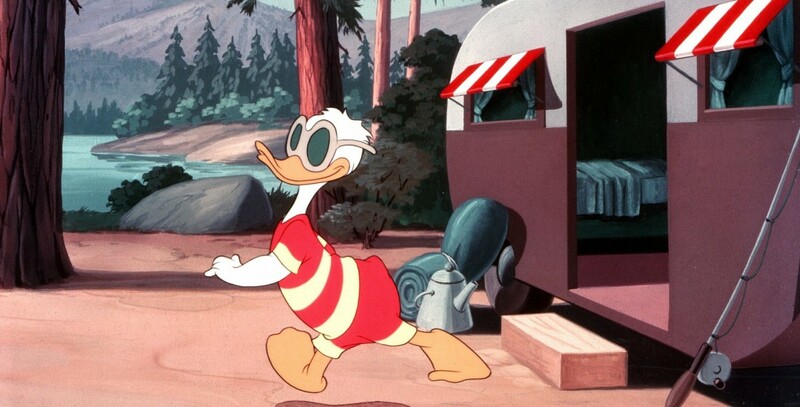 Trailer Horn (film) Donald Duck cartoon; released on April 28, 1950. Directed by Jack Hannah. Donald and the chipmunks, Chip and Dale, are after each other again, this time when they come upon Donald vacationing in a trailer. When he goes swimming, they fool him by moving the diving board and end up wrecking his car.